Warid Telecom Uganda launched nationwide GSM services in February and received strong consumer response, crossing the one million customer mark within its first nine months of commercial operation. 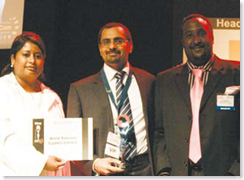 Warid Telecom was originally awarded the licence in Uganda in March 2008 and commercially launched the service 11 months after securing the concession, launching in 30 districts across Uganda. The operator soon expanded coverage to 40 districts and now offers services in all major towns/cities across Uganda, providing seamless coverage on all major highways. Warid’s target audience in Uganda comprises small and medium size enterprises, rural consumers, youth, and businessmen/traders. Given the competitive nature of the market in Uganda, Warid has been keen to manage ways in which it can differentiate itself from the other operators. Brand differentiation. As a fourth operator Warid created a strong brand and undertook a pre-launch campaign (New Year New Network). The brand positioning was ‘we care’ and its activities were centred on this position; be it the network, customer care centres, or services. Services differentiation. Warid offered innovative yet simple services from inception. The operator offered two tariff plans with five friends and family numbers. Promotions such as “Bang KB” where a customer can talk for two minutes (onnetwork) and the rest of the call is free and “Megabonus”, where a customer could receive additional on network calls at no additional charge for 24 hours after recharging, were introduced. Warid also launched various new services on its IVR platform, including musicon-demand, and Gamezone. Such is the uptake of Warid’s voice and non-voice services that revenues have showed an increase of over 20 per cent month-on month in recent months. 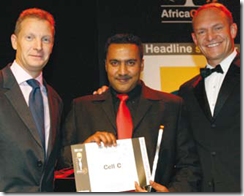 In June 2007, Cell C launched a campaign (called WOZA 0) that provided free talk time to subscribers on weekends. The intention of the campaign was to introduce the market to an offering that had never before been seen, and the growth for the network was forecasted at 30 per cent. This prediction was catered for, and an additional safety margin was added as well. 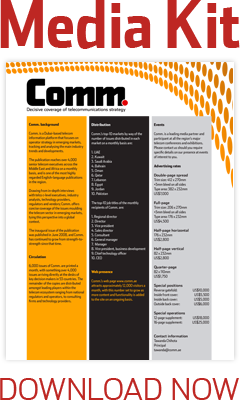 The uptake of this campaign, however, was massive, and far greater than expected – which provided a challenge for the networks team. The core switching network at the time consisted of Release 99 Siemens MSC’s, and by the end of July 2007, these had been expanded to their limit. In order to relieve the congested network on weekends and to cater for additional traffic, a decision was made to upgrade the core network and to consider the option of next generation architecture. On July 30, 2007, four weeks after the campaign launch, an RFP was issued for the core network. On September 12 the tender was awarded to Huawei for the supply and installation of its Release 4 media gateways and servers. Integration and customisation of the Huawei equipment for Cell C began immediately and by October 31 (just seven weeks after the tender award) the first call was made on the new network. Over and above the core network hardware that was required, transmission and radio capacity was also upgraded during this time. After intensive testing, traffic started being cut over to the Huawei core in December, and weekend after weekend, the customer experience began improving. The cut over involved physically breaking the connection between the access network and the Siemens core equipment, reconnecting the access network to the new Huawei core and then performing extensive testing on the live network. 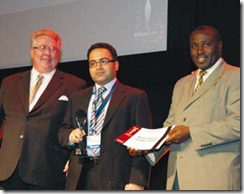 On August 1, 2008 Zain Group rebranded its e ntire African operations from Celtel to Zain. This exercise encompassed all of Zain’s 14 African operations including: Burkina Faso, Chad, the Republic of Congo, the Democratic Republic of Congo, Gabon, Kenya, Madagascar, Malawi, Niger, Nigeria, Sierra Leone, Tanzania, Uganda and Zambia. The purpose of the rebranding was to bring together Zain’s African and Middle East operations under a single, strong and unique identity. The rebranding of Celtel throughout Africa was the single largest branding re-launch to take place in Africa. The rebranding was innovative since the rebranding events took place simultaneously across the company’s 14 African markets and were linked by an ambitious live satellite link-up. Additionally, the rebranding concerts were attended by some of Africa’s senior diplomats, VIPs, artists and celebrities in all 14 countries who witnessed live speeches through an hour-long live satellite feed that linked all countries to each other. And to mark the launch of its new identity across Africa, Zain also announced the creation of the world’s first crosscontinental borderless network, extending and linking its ‘One Network’ service between Africa and the Middle East. 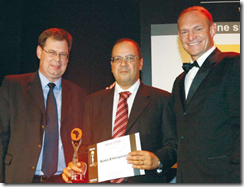 MTN South Africa in association with Ericsson launched the MTN Zone on February 6, 2008. MTN Zone is a prepaid-per-second billing price plan that offers potential discounts of up to 95 per cent on mobile phone calls for MTN prepaid subscribers making on-network calls. MTN Zone has a flat rate of R2.50 (US$0.25) across all time periods. Discounts are driven by dynamic demand determined by the caller’s location and the time of day. The service is intended to break the rigid peak and off-peak tariff structures and provide customers with more convenience, choice and control over their cost of making calls. 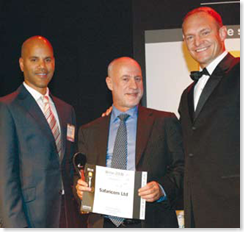 Safaricom launched the M-PESA money transfer service in Kenya in partnership with Vodafone in March 2007. M-PESA provides a fast, safe and affordable way to transfer money by phone conveniently, anywhere in Kenya. To register for M-PESA, all a customer needs is their Safaricom SIM and National Identification document; they do not need a bank account. This opens access to money transfer services to the many Kenyans who do not have access to formal financial services, many of whom live in rural areas. The M-PESA virtual money account is associated with the customers mobile phone number, is PIN protected, and is accessed through a SIM Tool Kit menu, which sends instructions to M-PESA via encrypted SMS. M-PESA agents register customers and use a special handset to assist customers to deposit or withdraw funds. The M-PESA service has registered over 3.7 million customers since its launch in March 2007, and grown to a network of over 3,500 agents countrywide. Over US$700 million has been transferred from one person to another, in low value transactions of approximately US$45, with a high proportion of this being transfers to and from rural areas. According to a study carried out by Finaccess 2007, mobile phones have penetrated the market in rural areas of developing countries in the last five years more successfully than traditional banks have been able to over the past 100 years. M-PESA service targets rural unbanked communities in order to provide them with an e-money account, while overcoming challenges posed by lack of access to financial services. Warid launched commercially in February 2008 and the brand sign off was ‘we care’. 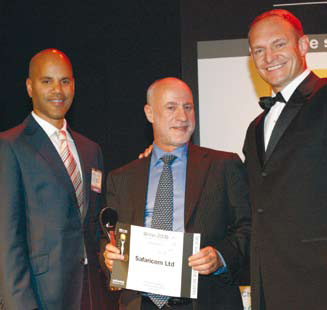 This was reflected in all key activities including its customer service strategy. now has 37 franchisee outlets covering almost all districts, offering similar services across Uganda. All the outlets have benchmarks they are required to adhere to in terms of size, location, quality of manpower, and so forth. There has been a strong customer orientation at Warid Telecom Uganda with the aim of delighting the customer by offering services such as automatic birthday greetings to customers, automatic complaint resolution by SMS, and was the first in East Africa to launch an interactive queue management system. Wana Enterprises is a dedicated partner to enterprises in Morocco and was previously known as Maroc Connect, which has operated in the enterprise business since 1999. In 2008, Wana Enterprises launched its WanaOne triple play product aimed at enterprises. WanaOne allows enterprises to access traditional fixed telephony networks, so as to make and receive calls and faxes nationally and internationally. The solution also provides a high-speed Internet connection that includes several value added options. reduction due to the shared access technology. WanaOne is composed of several packages so as to allow enterprises to select the best functionalities in terms of voice and Internet traffic. The latest addition to the WanaOne package offers enterprises in Morocco a converged offering of voice – fixed and mobile – with an Internet access for the first time. Enterprises benefit from free inter-site calls based on the same rate plan regardless of the used lines (mobile or fixed). A state of the art extranet portal, called Mywana, allowing customers to manage their voice lines and check for live call details in real time. 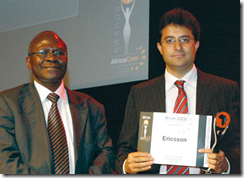 One Network is the world’s first borderless mobile telecoms network service launched by Zain in Africa in September 2006. The original countries that benefited from this service were: Kenya, Tanzania and Uganda. By November 2007, a further nine African countries Democratic Republic of the Congo, Republic of the Congo, Gabon, Burkina Faso, Chad, Malawi, Niger, Nigeria and Sudan became connected offering over 400 million people in twelve countries across east, west and central Africa the opportunity to communicate freely across geographical borders without roaming call surcharges and without having to pay to receive incoming calls, enjoying the benefits of being treated as ‘local’ customers in any of these countries. On April 14, 2008, the service was extended and introduced to Zain’s operations in Bahrain, Iraq, Jordan and Sudan where over 14 million Zain customers also enjoy the same One Network benefits. The service is available to over 75 million inhabitants of these 4 countries, which reached over 100 million after Zain commenced operation in Saudi Arabia in August. 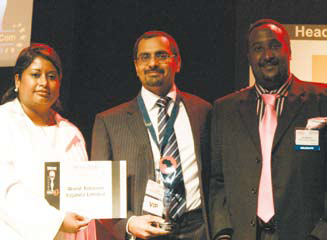 On August 1, 2008 Zain linked two continents with One Network with Bahrain, Iraq and Jordan connecting to the 12 African One Network countries. On August 26, Saudi Arabia joined the One Network with the launch of commercial services. M-PESA Concern Worldwide Pilot project was a partnership between M-PESA and Concern Worldwide charitable organisation aimed at assisting selected households in Kerio Valley to meet their household needs and find a path to recovery by distributing cash through the M-PESA money transfer system, following a period of post-election violence in Kenya which left this community homeless and with no access to food or other basic needs. results of the general elections early this year. For over three months, lives were lost and property worth billions of shillings destroyed, and people were displaced from their homes. Humanitarian relief agencies stepped in to assist but because of resource constraints could only meet the short-term needs of internally displaced persons in formal camp situations. Concern Worldwide partnered with M-PESA to provide aid, focusing largely on those outside the formal camp situation. Kerio Valley, a rural community in Kenya, suffered more, in addition to the adverse effects of the post election conflict, they had experienced drought which had disrupted the crop production cycle. Households did not have shelter or money to buy food and other basic household necessities. Many households in the affected area were cast into deeper and more challenging levels of poverty than they had experienced before. 570 households were assisted and were thus better able to meet their basic needs pending return of normal economic situation. Providing assistance in the form of cash rather than food ensured that a diversity of beneficiaries’ needs were met, giving people in poor, rural areas direct control over their finances. An evaluation carried out after this intervention found that beneficiaries who received cash felt a greater sense of empowerment and dignity than if they had received an equivalent amount of food. Mobile handsets that were given to the beneficiaries to facilitate the M-PESA money transfer are now being used to stay in touch with distant friends and family and have provided the community with a means of communication.